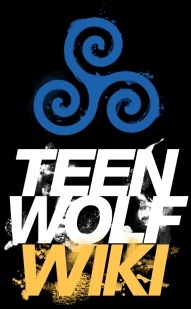 Check out the Teen Wolf Meta Podcast on Tumblr, SoundCloud, and iTunes. Or come chat with us in the Teen Wolf Meta Podcast Discord Server! It doesn't matter if it's about the show, fanfiction/fanart, or something completely unrelated to TW. The Wiki Tips page has helpful hints for this site. You can slso add your own and ask questions in the discussion section. Check out the Open Questions page for a catalog of items yet unresolved. And the Inconsistencies page for a catalog of mistakes. What to do with ships the show implied or hinted at but didn't explicitly define? Add your opionion to Fanon+discussion. Volunteers are needed to help fill our pages! If you see something is missing and want to add it, go right ahead. Each page has its own discussion sub-page for asking questions and discussing edits. Below are some of the pages that need the most attention.